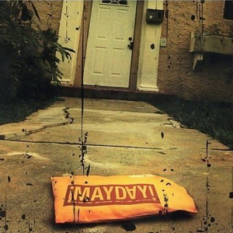 Traditionally, “mayday” is an attention grabbing distress signal, so, it’s no wonder that the Miami-based hip-hop group ¡MAYDAY! is generating a sound way too strong for anyone to tune out. Starting out as a 2-man project ¡MAYDAY! has since evolved into a full-fledged 6-man band with a buzz so loud that it came to the attention of hip-hop mogul Lil’ Wayne who had to stop and take notice. He invited the band, which consists of MCs Bernz and Wrekonize, producer/guitarist Plex Luthor, bassist/keyboardist Gianni Ca$h, drummer L.T. Hopkins and percussionist NonMS, to be his on-screen band in 3 of his videos (“Get A Life,” “Da Da Da,” and “On Fire”), had them perform at his 2010 Super Bowl party, and then gave them the ultimate high-five by wearing a ¡MAYDAY! t-shirt in his “Get A Life” video and proclaiming himself the next member of the band. It doesn’t stop with Lil Wayne – as the #1 indie rapper alive, Tech N9ne quickly signed the band to his Strange Music label. So far, the relationship has proved fruitful. The band completed two US Strange Music tours, including the record breaking 90 shows in 99 days Hostile Takeover tour with Tech and Machine Gun Kelly; produced the entire Tech N9ne Klusterfuk EP which hit #1 on the indie Billboard charts; released their Billboard top 100 charting Strange debut album, Take Me To Your Leader, and most recently, released their new EP, Thirft Store Halos, which quickly hit #3 on the iTunes Hip-Hop charts on the first day of release. Numerous platinum and buzz-worthy artists and producers such as Cee-Lo, David Banner, Black Thought (The Roots), SpaceGhostPurrp, NORE, Jim Jonsin (TI, Lil’ Wayne, Kid Cudi), Ace Hood and more have stepped up to work with the ¡MAYDAY! crew. After premiering the video for their Cee-Lo assisted single “Groundhog Day” on Youtube, the clip achieved a record-breaking 2 million plus views in less than two days and garnered attention from The New York Times, ABC World News Tonight, NBC 6 Evening News and Inside Edition. Later that year “Groundhog Day” was featured on HBO’s Entourage. Other songs including “Watching Me” from ¡MAYDAY!’s debut album, have been used in video games (NBA Street Homecourt 2007) and television, including Stuck on an Island’s “On 2 Somth’n” which was featured in ABC Family’s popular show Lincoln Heights. 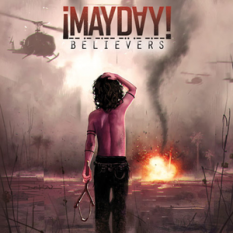 ¡MAYDAY! has long been a force in the Miami underground scene. 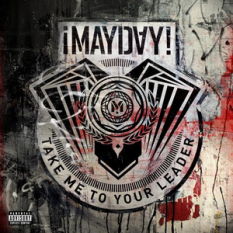 Live ¡MAYDAY! puts on an impressive show with a exhilarating party vibe. The Miami Herald said ¡MAYDAY! “…captures the electric excitement of a city on the verge of a breakthrough” and the Miami New Times called them “…one of Miami’s hardest-hitting bands.” After the release of their self-titled debut album, URB Magazine placed ¡MAYDAY! In their next 20 Artists to Watch and MTV chose them as one of the Freshmen Five giving them opportunities to travel the US performing to packed houses with a spectrum of artists ranging from Daft Punk to Big Boi to Method Man and Goodie Mob. 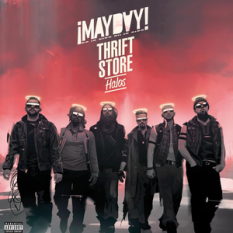 ¡MAYDAY! is a band that fits right in, but their sound is different. It’s live, hard-hitting, future brand of music posted up somewhere between rock and a hard place, strangely familiar, yet brand new. .